Student loan benefits are big news, but how do they work for companies and employees? What does the government say about this new "help?" And, what should plans ponsors who are battling the recruiting and retention battle expect for the road ahead? Get answers to these and other top questions from the inventor of America's first student loan benefit, Student Loan Genius. Jovan Hackley, Head of Engagement and Advocacy will share his experience working with innovative plansponsors, participants, and legislators to help tackle America's $1.3 trillion student loan problem. 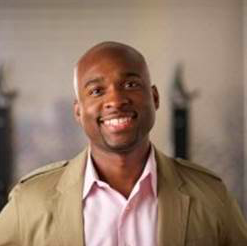 Jovan Hackley is Head of Advocacy & Engagement for Student Loan Genius, Austin-based inventor of the first complete student loan employer benefits solution. Jovan leverages his 15 years of marketing, advocacy, and public relations expertise to help crush America’s $1.3 trillion student loan problem. A graduate of the George Washington University’s Graduate School of Political Management, Jovan works to help to connect companies, legislators, financial institutions and media with the real-life data, stories, and opportunities related to student loan debt. When he’s not leading Student Loan Genius’ brand development, lobbying and demand generation, Jovan is works to help non-profits and social impact organizations leverage digital platforms and events to help solve major problems. Those efforts include participating in BBVA Compass’s Momentum, a global social impact incubator and volunteering with the National Urban League and National FinTech Professionals Association.